XII Stag… Twelve Stag you say? Yeah, me neither. If I’m not mistaken, we’ve one for the connoisseurs here. 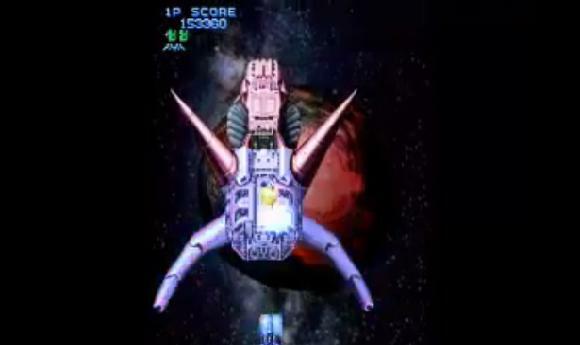 Capitalising on the revitalisation of the vertical-scrolling shooter (thanks mainly to Ikaruga), Taito’s arcade-port was never going to see Joe Public clambering to buy it on release day – one look at the cover’s reverse reveals that much – instead, it’s targeted at those who wished the days of the pocket-money pinching arcade games had lingered a little longer. It’s wallet-friendly and broadly-speaking delivers what it sets out to; an accessible, retro-fuelled shoot ‘em up experience. But it’s important to remember that it coexisted alongside a raft of similar-such titles all vying for the same narrow band of retro connoisseurs. XII Stag’s ultimate inability to distinguish itself amongst this crowd makes it a tough one to recommend, despite its competence. It carries with it an authentic, nineties coin-op vibe; short only in its failure to demand your ten pences whenever you run out of lives. 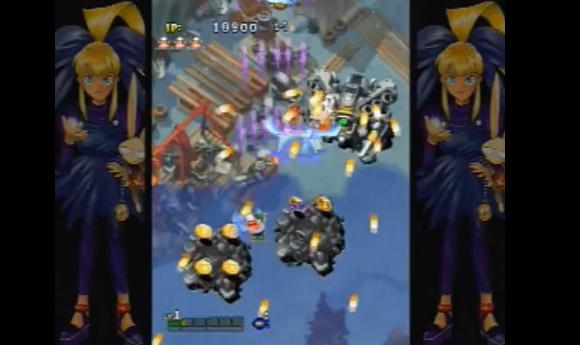 This does mean for some rather alarming black borders on either side of the screen, though you are treated to some rather good, high-tempo dance vibes and slightly cartoony, sprite-like visuals that were a permanent fixture of the games it pays homage too. 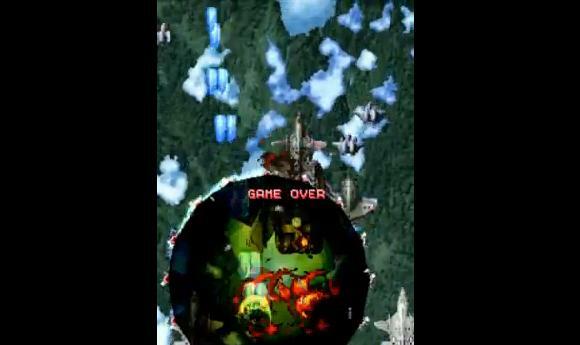 For better and for worse, the menus, crafts, and presentation as a whole are all distinctly old-skool, and whilst the large bosses with their numerous destruction points are admirable creations, they’ve all been done before, as has the now-obligatory space level filled with splintering asteroids that pose a threat when you shoot them. To say it appears dated would not be doing XII Stag justice however. Yes, it never makes the PS2 sweat and it does take a few levels to break away from the stereotypical cloud-formation backdrops that are so common a feature in such games, but the last three stages are increasingly pretty, culminating in a beautifully abstract last level. 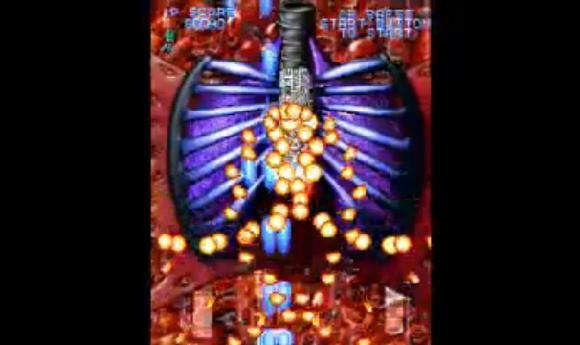 Vivid whites, yellows and reds meld to form a morbidly organic surrounding, as you move towards a fight with a giant pair of lungs and then a heart to finish things off. There are a couple of issues with the gameplay; namely enemies ambushing you by flying in via the bottom screen (where you are generally situated), leading to the occasional cheap death, and it’s more frustrating still when a boss lumbers in from behind. Sometimes you can only guess where it’s safe to manoeuvre as collision points are poorly defined, meaning it’s all too easy to lose lives smashing into them or by thinking you’ve boxed yourself into a corner. Gaining chains through ‘side-attacks’ is also a very lame feature, you’ll try it a couple of times and then forget it’s there. In the main, the controls work okay; the two-player mode is a bit of a laugh and the multiple difficulty settings offer up a good test to those aforementioned connoisseurs, if you can overlook the game’s infinite continues. 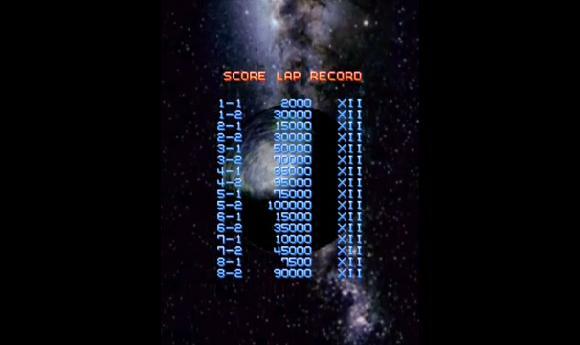 XII Stag’s problem is that has delivers no standout moments, no grandstanding memory or unique selling-point. In shoot ‘em up terms it’s business as usual, and the levels for the most part feel as though they could have been ripped from any number of similar titles to have surfaced in the six or seven years prior to its release. 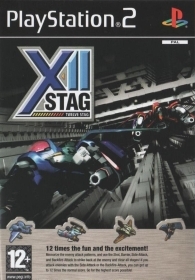 With the likes of Psyvariar and Steel Dragon EX offering two versions of their game as a means of off-setting the humble production values and natural brevity of such games, XII Stag goes it alone, and a consequence, shoulders the sum-total of the package’s longevity. Given that it can be finished in less than thirty minutes, it’s slender, even by the genre’s accepted standards. Playable but unremarkable, XII Stag does everything solidly but nothing really well, and so is the very epitome of middle-of-the-road. Assured craftsmanship at the hands of arcade-game veterans Taito guarantees some quick-fix fun, but it is ultimately a lack of ambition and panache that condemns it to the footnotes of gaming history. And with such competition at similar bargain-basement prices, fans will doubtless find better alternatives on the market.